It saddens me that criminals, terrorists and States abuse the world-wide-web, that they've found ways to corrupt, undermine, manipulate, and use such a wonderful resource, which has been an extraordinary tool for good since it's inception, for evil is not surprising given their dark motives, but it still saddens me nevertheless. That Australia is part of the world-wide effort to counter the misuse of the internet is very encouraging. 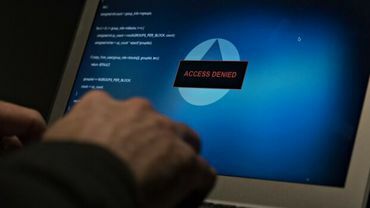 "Australia has also allegedly harnessed its offensive cyber skills to hit back against a non-democratic state that was pilfering our public and private secrets, intelligence sources say. This involved implanting malware on foreign servers that erased data and disabled the cooling systems such that they were ultimately "fried"." I suspect, though have no basis in fact, that the "non-democratic state" that pilfered privileged information from public and private sources, was probably China. There have been several stories published along those lines. every new technology has its risks and dangers. look how much we depend on the internet, and how quickly this dependency has grown. of course there will be those seeking to misuse it. if their efforts can be stemmed, that's a good thing. Some humans are not happy unless they are ruining and gumming up the workings of something to the detriment of everybody. Why it makes them happy is beyond my comprehension. They are just sad evil misfits who do what they do for greed.